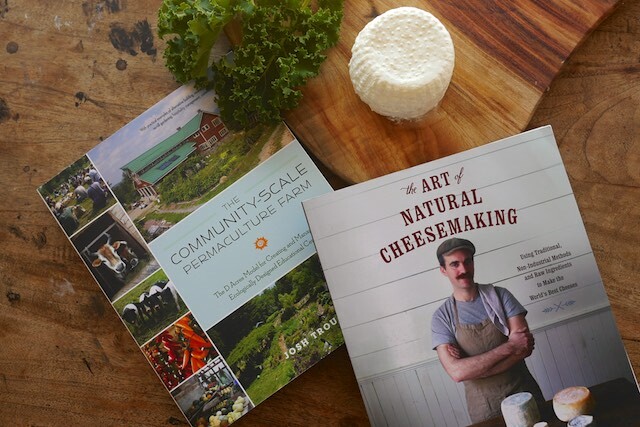 Two different books with the same ethos are on our coffee table at the moment: The Art of Natural Cheesemaking + The Community Scale Permaculture Farm. They’re both books written by passionate doers who have gone against the flow and done things their way, with stellar results. Food for the mind and soul. With bonus cheese. Yes please. 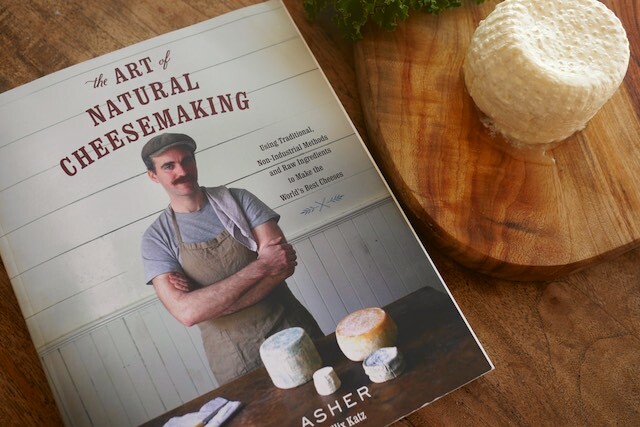 The Art of Natural Cheesemaking by David Asher reminds me very much of The Art of Fermentation by the much admired Sandor Katz (who wrote the foreword, to compound matters). 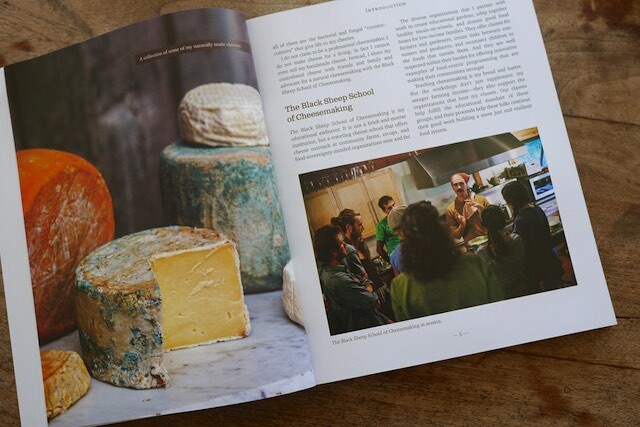 As the subtitle says, this book’s mission is to show how to make cheese ‘using traditional, non-industrial methods and raw ingredients to make the world’s best cheeses’. You might be seeing a correlation to Wild Fermentation here – eg that a fresh cabbage has exactly the correct microbiology already present on its leaves to create sauerkraut, with the help of technique, a certain environment, and a little salt. No commercial starter or introduced whey is required. Kraut is what cabbages do, under certain controlled conditions. 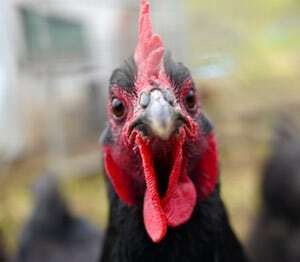 That’s why it’s such a traditional food. And the same goes for cheese! Huzzah. 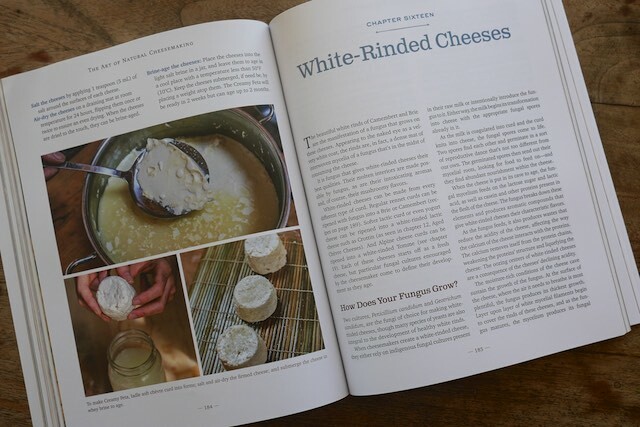 The Art of Natural Cheesemaking emphasises beginning your cheesemaking efforts with the procurement of fresh raw milk, as it is the base stuff of cheese, and a living food. Fortunately though, Asher is kind to those of us who are not in a position to source milk straight from a dependable, pastured cow, and offers various layers of alternatives. These include sourcing low-heat pasteurised non-homogenised milk, or using milk kefir grains to re-introduce some necessary biology to your milk before you begin your cheesemaking process. 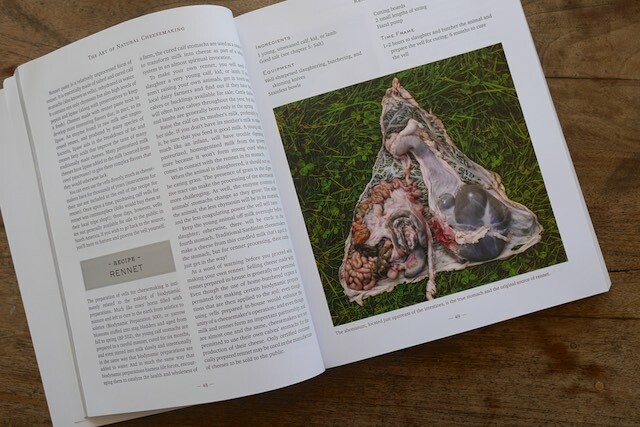 I also appreciate that Asher was careful to honor rennet for what it is – a certain part of a baby cow’s stomach – and the process of harvesting + curing it. As with the milk, he offers alternative sources that can be used, if necessary. 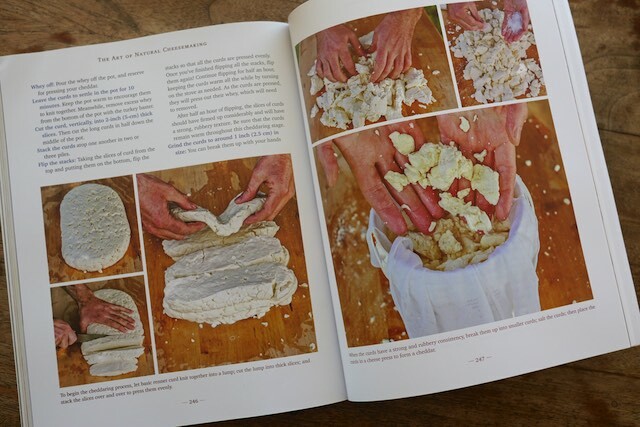 Once you’ve got your best-possible milk, this book is downright exciting. 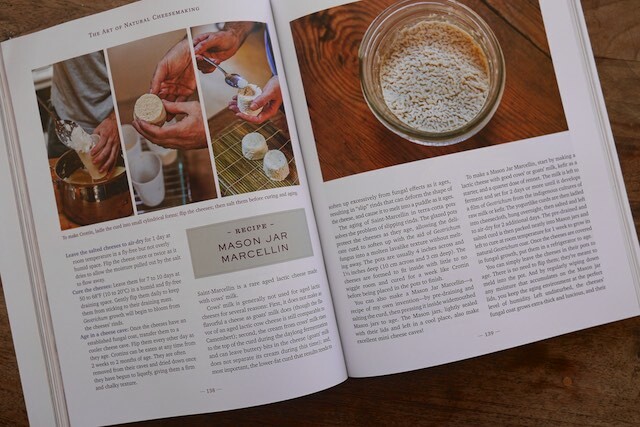 From simple paneers to mason jar marcellin, this deeply awesome book introduces you to enough cheesemaking (and milks – goats + sheep also get a look in) to keep you going for quite some time. 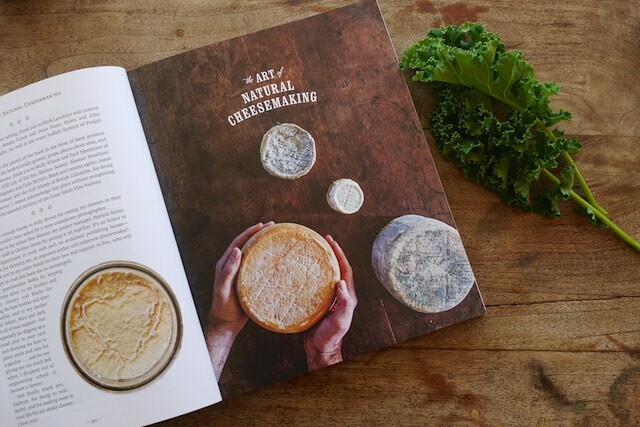 The Art of Natural Cheesemaking is published by Chealsea Green, and can be got via Amazon or, if you’re in Australia, the wonderful Florilegium Bookstore in Sydney does mail order. 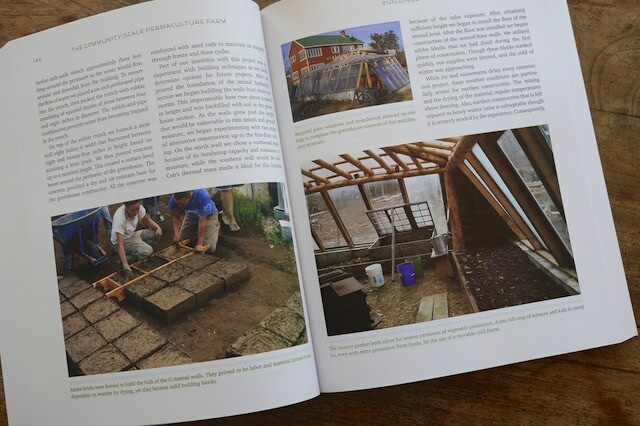 The Community Scale Permaculture Farm by Josh Trought is a book close to our hearts at Milkwood, given our 8 years establishing a small educational permaculture farm from 2007 – 2014. The subtitle reads “The D Acres Model for creating and managing an ecologically designed educational center” – and this book is a great template of that. 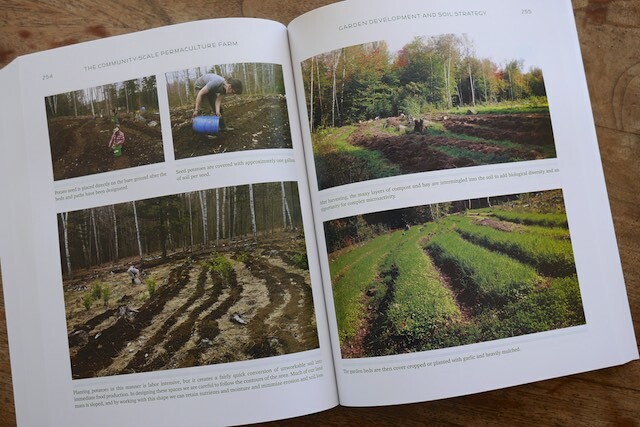 The thing I liked most about this book was that it followed the story from the start of the site’s establishment, and was quite transparent about both the teething problems the ongoing process, and the sources of funding that allowed this permaculture farm to blossom. The above considerations are all really important, and are often glossed-over on farming projects, which, in our work, we’ve found can create unrealistic expectations amongst new farmers, which can sometimes lead to a lot of stress and disappointment. Long story short – setting up a farm of any size with limited resources and big dreams is hard work! But at D Acres, through a community spirit, long hard years and a lot of beautiful people (and some beautiful funding), they got through those teething years to establish what looks like an amazing place to learn and to live. I’d recommend this book to anyone who’s thinking about embarking on a similar venture – which i hope is lots of folks. It is one community’s story of what worked, what didn’t and how they created a very resilient and valuable community asset over the course of many years. 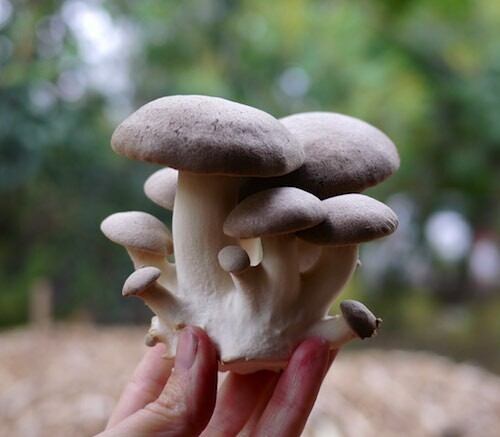 There’s notes on semi-commercial cropping practices, natural building, community governance and educational forays, as well as an uplifting journey throughout. 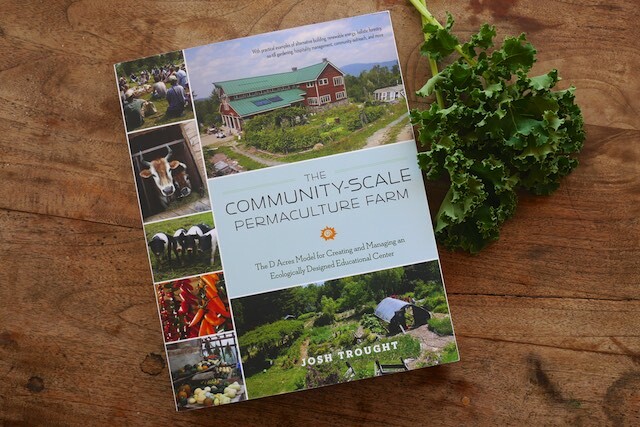 The Community Scale Permaculture Farm by Josh Trought is published by Chealsea Green. The scarlet runner bean and me. We go way back. 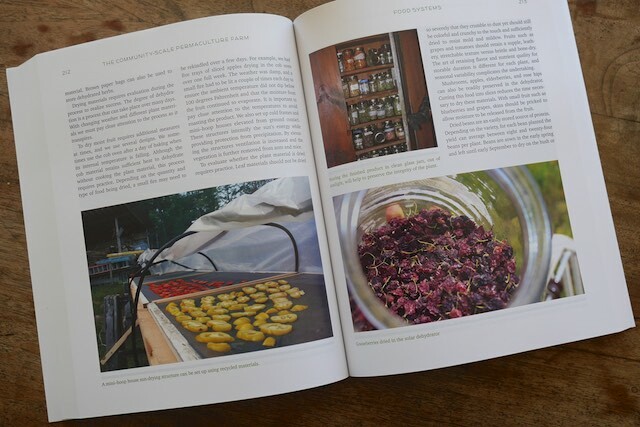 I'm sitting here, . .
Rustic style cooking and I seem to go way back, long before it wa . .
I’ve added both of these to my buy list for my next trip to the bookstore. Living 100 miles from a bookstore creates a lot of impatience at times. They look great! Worth reading! 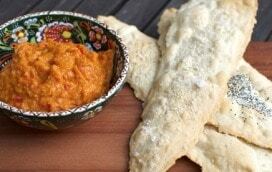 This is an interesting article about the art of natural cheese making. I would love to have this book.